These are the lives of spiritual awakening which contain spiritual biographies of seeking and finding different mystical and religious realities. Relatively speaking, these lives are the success stories in the spiritual evolution of one individual. You have had your exile. You have felt loneliness. You have developed compassion. Those who have cursed you have voluntarily removed their curses. You have gone through your most difficult lives, and liberated the fragments of self that remained bound. It is time for a change. 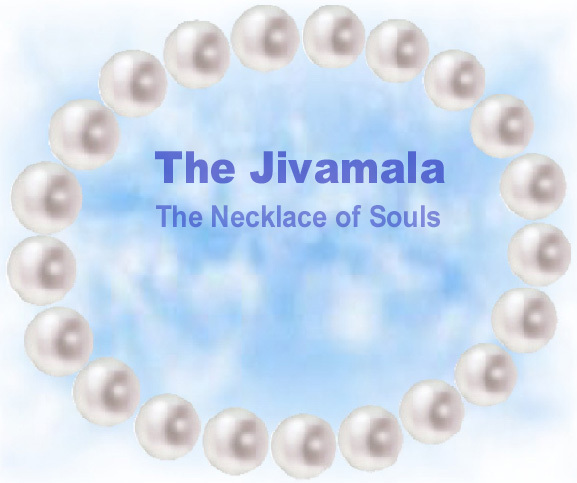 No, you are not finished with the Jivamala - you are simply switching to different beads. You have cleansed your lives of past pain and hatred. Now you must come to know who you have been. In the past you have had a number of lives where you advanced spiritually. You have been a yogi, and a tantrika, as well as a magician, a nun, and a sage. These lives have been hidden from you until you cleansed your past. It is now time for you to know them. These lives show the varieties of empowered spiritual teachings that you have learned in your past lives. This is why you need to remember these positive lives. There are still living teachings within them. You must learn of them, and transfer the teachings from the karmic shells (past personalities) into your present consciousness. Then the teachings can be properly used. You are not yet finished with the Jivamala practice. The next life for you to find is the life in which we were halfway bound. You have not yet encountered it. The practice is part of the older tradition in which Shaiva Tantra mingled with visionary Mahayana Buddhism. The shamanic elements, such as death and rebirth, and the community healer role are very minor. From the Shaiva tantra side came your link with Mahashiva. From the Mahayana side came your ritual link with me as Adi-guru or chief among your other instructors. Each has a special function for you - that is why you have several. In the next life that you will explore, you will understand the initiation, the disruption, and the necessity to complete the work. It is the only life, I believe, where your teachings have been adopted by a tradition. Hindu terminology is not always accurate to the other worlds, and states of consciousness. Your tradition was worship of the Diamond Light, and the Clear Light, and the Blue Light of Shiva's infinity. Your tradition mingled these, having one initiation for each. You were linked with the Vajra Dakini in the Initiation of the Diamond Light, with myself in the Initiation of the Clear Light, and with Mahashiva in the Initiation of the Blue Light. However, as you know, the initiation was disrupted, and your path needed to be continued in this life. Your life as a yogi will emerge next. This life is where you learned about the inner rivers of the Gayatri [mantra], the path of Brahman. As a yogi, you followed both Shiva bhakti (devotion to Shiva) and Vedanta. Shiva was not lord of pain, but rather lord of Truth. You were born of Brahmin background. This is a self that seeks Truth, and has remained voluntarily - not in a dark hell, but in a paradise world. He chose to stay until that part of his soul which had fallen would rise again. The next life is a mixed one with elements of war combined with self-sacrifice, and visionary experience in service to the larger community. This life is a Hindu life as was the previous one. The jiva in this life was a priest who was forced by circumstances to also be a warrior. His karma was therefore mixed, and after his death, he was required to spend time in a heaven for hero-warriors before he could be liberated into a higher heaven. His decisions in life, and his afterlife were both positive, and thus this biography belongs in the "spiritual awakening" section, though it does not contain as many mystical elements as the previous two biographies. He did not need to be rescued by the Bhairava but was given a new afterlife by the deity he worshiped during life.  In order to continue, click on the [ NEXT ] link below.